A delicious treat specifically designed for puppies, the Nylabone Healthy Edibles Puppy Snacks with Turkey are crafted with wellness in mind, gentle enough for your puppy’s delicate digestive system and with a crunchy texture to help keep plaque and tartar at bay. 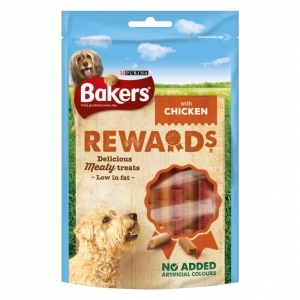 Fortified with DHA and Omega 3, Nylabone Healthy Edibles Puppy Snacks with Turkey help support healthy brain and eye development that growing puppies need. 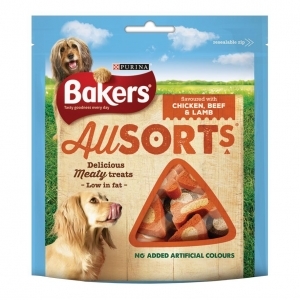 They also contain only natural ingredients, and are free from added salt, sugar, artificial colours, flavours and preservatives for healthy, beneficial treats packed with goodness and the irresistible flavour of turkey and sweet potato. Suitable for all puppies over 3 months of age. Please note packaging may vary from that shown in the image.